Book reading and signing for The Passenger. 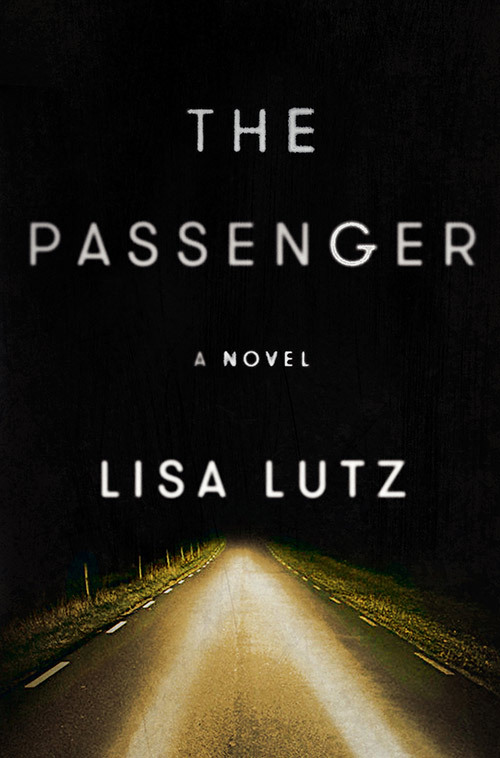 Book event for The Passenger. Joint appearance with author Owen Laukkanen for his newest book The Watcher in the Wall. Book reading and signing for The Passenger. Joint appearance with author Alison Gaylin. Book event for The Passenger. Lisa is one of the five women authors (also including Annabelle Gurwitch, Alexis Landau, Tatjana Soli, and Aline Ohanesian) speaking and answering questions for this literary event that promotes women authors and inspires others by donating the proceeds to women's and children's charitable organizations. Book reading & signing for How to Start a Fire. In conversation with Patricia Parker. Even though Lisa won't be there in person, if you're in the Bay Area and up for some Spellman sleuthing, be sure to check out this event. Armed with a set of surveillance photographs and a handful of clues, you and your team must find the answer to a baffling mystery. Use your wits, observational skills, and library resources to track down and uncover the agenda of a mysterious interloper in the San Francisco Public Library. . . .
Lisa will be on two panels during the 44th annual Bouchercon convention, which is being held in Albany, NY. Book reading, Q&A, and signing. Each year distinguished speakers, writers, editors and agents join the faculty of Jackson Hole Center for the Arts to deliver a weekend of active and engaging dialogue and collaboration. Lisa is a featured speaker at this year's conference. Live somewhere between Milwaukee and Chicago and have nothing to do on Sunday, November 11th at 2pm? Want to confront Lisa about her behavior the previous day up the road in Muskego? In either case, please come to the Warren Newport Public Library, 224 N. O’Plaine Road, Gurnee, IL 60031. To sign up, call 847-244-5150 (and press 5) or visit www.wnpl.info. Join Lisa and a fine group of panelists for this annual event, held at the Muskego Public Library, Janesville Road, Muskego, WI. A Discussion and Celebration of BOOKS TO DIE FOR. John Connolly leads a conversation with contributing authors, including Megan Abbott, Lee Child, Michael Connelly, Reed Farrel Coleman, Alison Gaylin, Lisa Lutz, MJ Rose, SJ Rozan and F. Paul Wilson. Sponsored by Dave H. Williams and Dr. Reba White Williams. Join Lisa for her annual celebration of Izzy's birthday with the Seattle Mystery Bookshop folks. There will be some book signing, and usually some cake too! How to Be a Private Investigator Spellman Style and Book Signing with Lisa Lutz. LISA LUTZ talks turkey about her latest TRAIL OF THE SPELLMANS, the fifth book in her beloved Spellman series. Join us for some wine and cheese and bring your concealed voice recorders--Lisa will dish about her time as a private investigator and provide tips on how to tail someone. It's only creepy if you think of it as creepy! Lisa will also share a sneak peek of her forthcoming picture book, HOW TO NEGOTIATE EVERYTHING (see an excerpt of it in TRAIL!) with art by local children's book illustrator, Jaime Temairik. Lisa and Jaime will reminisce about how they met, which involved some very poor private investigating and a lot of Irish coffee. Join Lisa for an unofficial booze up post-book event at the BalMar at 7:30 PM. Book reading and signing (and there's usually some wine involved too)! At Thurber House's Evenings with Authors events, nationally-known writers read and discuss their most recent books. Each author gives a 45-minute reading, followed by a 15-minute question-and-answer period. A book signing and reception close the event. Lisa will be participating on their Mystery Panel. The entire conference runs March 13-17, 2012. Held at the University of Arizona Campus. The Festival runs through the weekend (March 10 and 11). "The Plot Thickens: The Future of Libraries" is the theme of Authors on the Move 2012 at the Hyatt Sacramento. Keynote speakers will be John Lescroart and Lisa Lutz. Moderator will be Paul Robins, host and anchor for Fox40Live; David Sobon will be the auctioneer. Visiting the guest tables will be 45 local and regional authors. Join David and Lisa at Old Courthouse Square in Santa Rosa.